Deuteronomy, the last and widely considered the most influential of the five books of the Pentateuch, preserves the three addresses Moses delivered to the people of Israel just prior to his death and their entry into the promised land. Its name, which means "second law", represented a reiteration, explication, and, to a degree, expansion, of the sole covenant between God and Israel. It was a reinterpretation of the law designed to meet the needs of a new generation facing a new future. 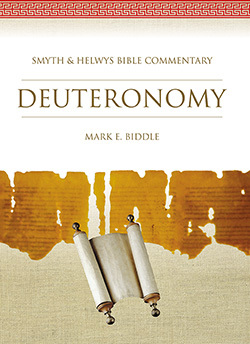 In this volume of the groundbreaking Smyth & Helwys Bible Commentary series, Old Testament scholar Mark Biddle skillfully leads his readers to consider how these words which have often confounded the casual reader can help us understand and meet the needs of our own generation as well. Mark E. Biddle is professor of Old Testament at Baptist Theological Seminary at Richmond. 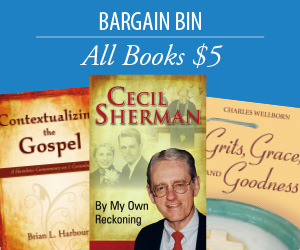 His other publications include A Redaction History of Jeremiah 2:1-4:2(TVZ), Polyphony and Symphony: Rereading Jeremiah 7-20 (Mercer), numerous articles, and several translations.